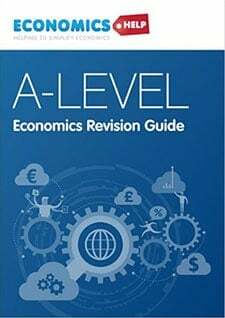 An explanation of how the rate of interest influences the level of investment in the economy. Typically, higher interest rates reduce investment, because higher rates increase the cost of borrowing and require investment to have a higher rate of return to be profitable. 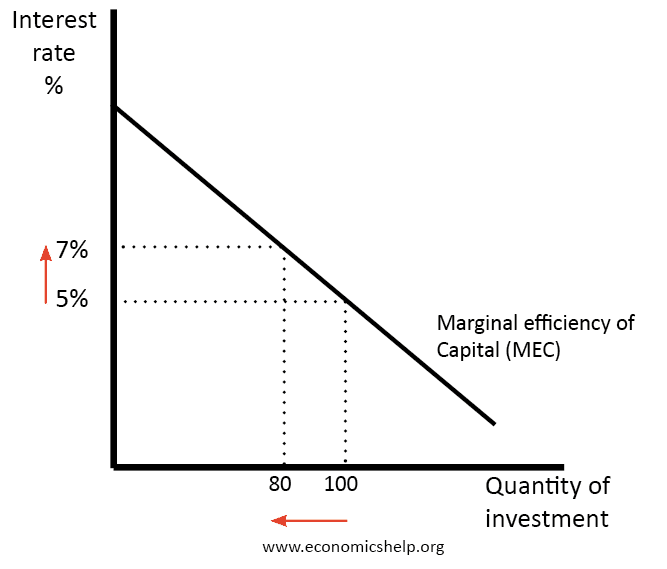 The marginal efficiency of capital (MEC) states the rate of return on an investment project. Specifically, it refers to the annual percentage yield (output) earned by the last additional unit of capital. 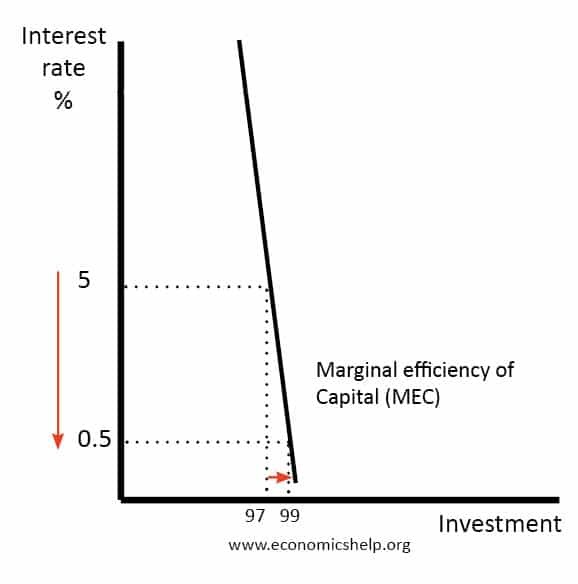 If the marginal efficiency of capital was 5% and interest rates were 4%, then it is worth borrowing at 4% to get an expected increase in output of 5%. 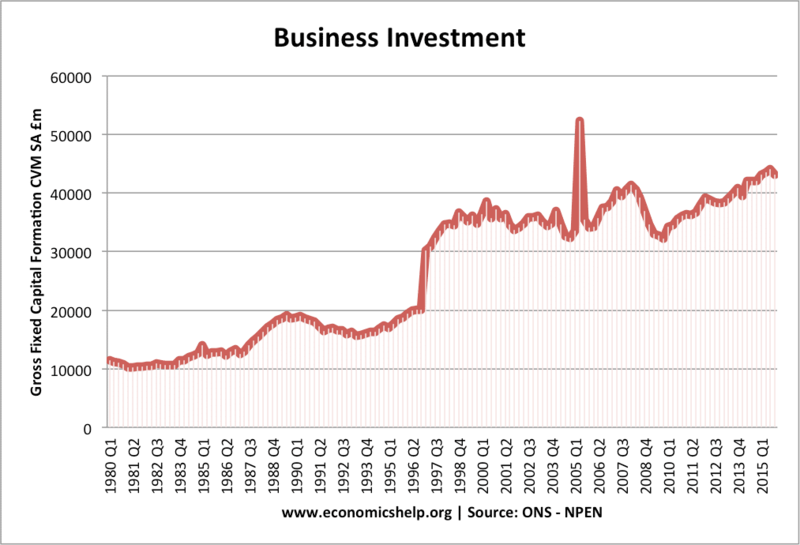 If interest rates rise from 5% to 7%, then we get a fall in the quantity of investment from 100 to 80. With higher rates, it is more expensive to borrow money from a bank. Saving money in a bank gives a higher rate of return. Therefore, using savings to finance investment has an opportunity cost of lower interest payments. If interest rates raised, firms will need to gain a better rate of return to justify the cost of borrowing/using savings. Assuming inflation is zero, and interest rates are 5%. Then any investment project would need an expected rate of return of at least greater than 5%. 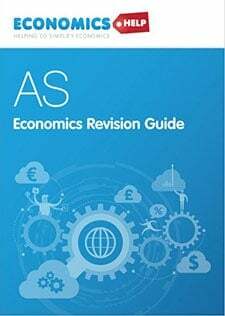 If interest rates were 7%, then any investment project would need an expected rate of return of at least greater than 7%, and therefore less investment would occur. For firms, they will consider the real interest rate – which equals nominal interest rate – inflation. 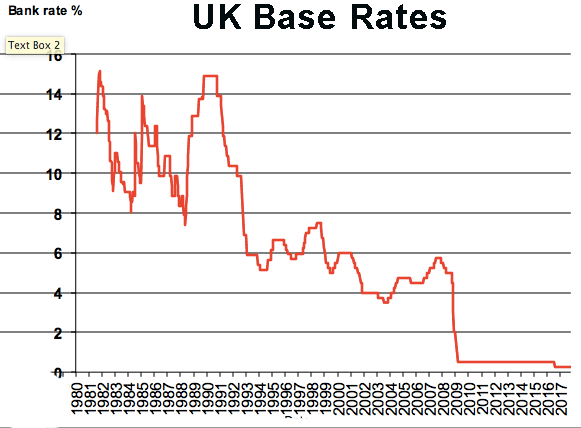 If inflation is 10% and nominal interest rates 9% – we have negative real interest rates. Borrowing money is more desirable as inflation will make it easier to pay it back. Interest rates are one important determinant of investment. However, it is not the only factor, other factors include investor confidence, economic growth, the willingness of banks to lend, accelerator theory, and state of technology. In a liquidity trap, lower interest rates may have little effect on boosting levels of investment. 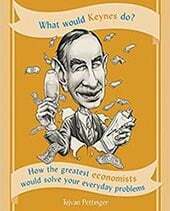 Therefore demand for investment becomes very interest inelastic. In this case, a fall in interest rates from 5% to 0.5% have had only a very small impact on increasing investment. This happened during the great recession of 2009 when interest rates were cut to 0.5%, but the economy remained stagnant with little increase in investment. In 2009, the credit crunch meant that banks were unable or unwilling to lend. Economic growth. 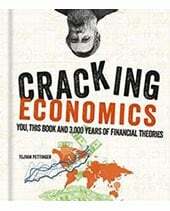 The accelerator theory states that investment is influenced by rates of change in economic growth. 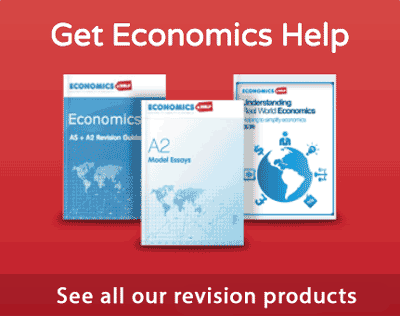 signs of economic recovery will lead to strong growth in investment. Availability of finance. If banks are willing to lend then investment will be stronger. In a credit crunch, banks may cut back on lending and firms will be unable to invest – even if they wanted to borrow for investment. Interest rates and investment in practice.